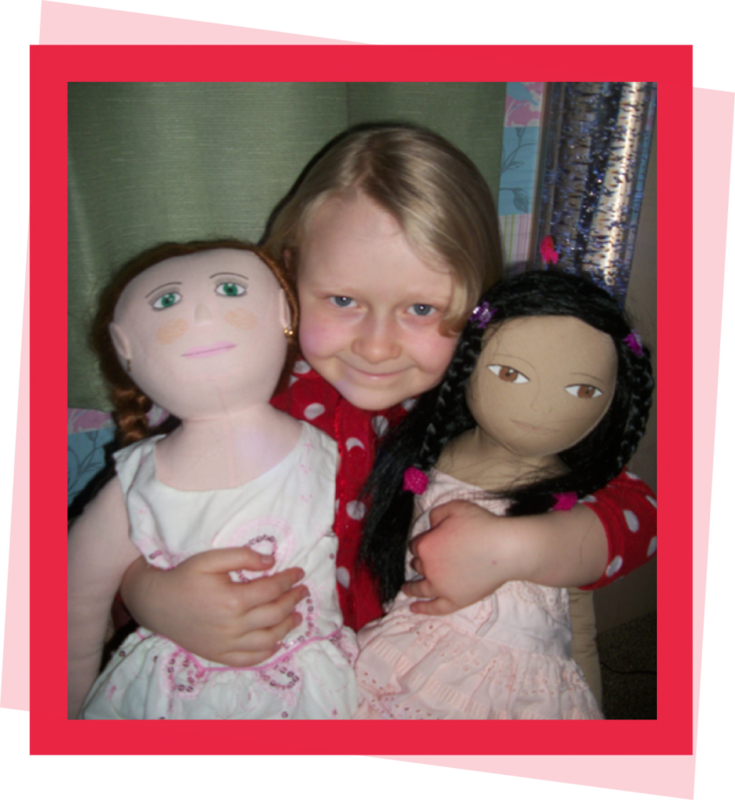 How Persona Dolls helped Kiara, a child with additional needs. Kiara is seven years old. She is the youngest of three children, and her parents both work in early years, Dad as a Teaching Assistant, Mum as an Early Years Quality Improvement teacher. Both parents have experience of working with children with additional needs and Mum has used Persona Dolls with them. She thought a Doll might help Kiara. This account was written by Mum. Kiara has a diagnosis of high functioning ASD; Asperger Syndrome. Her speech is good and she communicates well with adults, on her own terms, but she struggles to communicate and socialise with her peers. She spends a lot of time on her own, both at home and at school, preferring her own company as she becomes easily overwhelmed. She often gets angry and frustrated, and has very low self- esteem. We never referred to her as a doll, just a friend. Kiara took her away and we left them together. About an hour later she came back, carefully holding the Doll. She did the same with her dad, her brother and sister. Sarah lives in Kiara’s room. We often hear her chatting to Sarah in a way she never does with other people. She talks to Sarah about how she feels, about difficulties she’s having, and shares her joys with Sarah too. Kiara struggles to show affection so to see her hug Sarah and say, “See you later Sarah” when she goes to school is a joy in itself. Kiara has a very small bladder and has had difficulties relating to bladder control. One day whilst shopping she told me completely out of the blue that “Sarah needs more pants”. I managed not to show my surprise, and as we often bought pants for Kiara we popped in a pack of small ones for Sarah too. Kiara talked about her bladder problem and the way she felt about it. When gently changing Sarah’s pants, she repeated the words we’ve said to her time and again. Sarah has been a help to Kiara, giving her a way to express herself on her own terms. She has helped the whole family. Reducing Kiara’s anger outbursts has enabled us to function much better as a family. Kiara loves her new friend Safira. She is Sarah’s little sister. Kiara and Sarah look after her and teach her all sorts of new things she needs to know.